With "El Anatsui: Triumphant Scale", Haus der Kunst the most comprehensive and detailed presentation of El Anatsui's oeuvre thus far. Occupying the entire East Wing, the exhibition comprises key works from five decades of the artist's career. 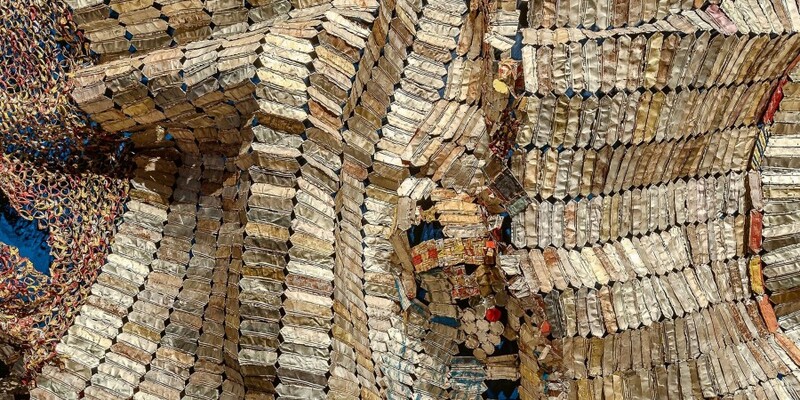 At the core of the exhibition, which focuses on the triumphant and monumental nature of El Anatsui's groundbreaking oeuvre, are the bottle-cap works from the last two decades, with their majestic, imposing presence and dazzling colors. The exhibition also presents the lesser known wood sculptures and wall reliefs from the mid-1980s to the late 1990s, ceramic sculptures from the 1970s, as well as drawings, prints, and sketchbooks. Fascinated by the museum’s monumental architecture, El Anatsui has created three works especially for this exhibition, among them the installation "Second Wave" on the building’s façade.